Anytime is a good time for guacamole. 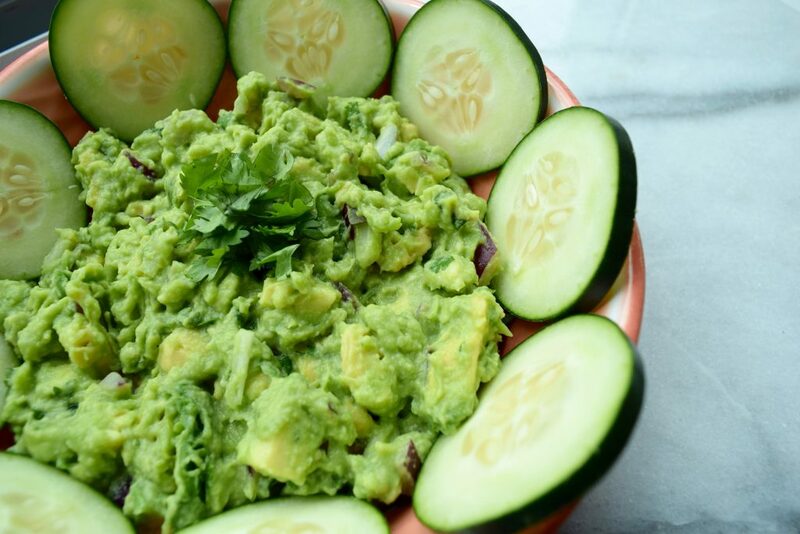 This guacamole recipe can be smashed onto gluten free toast in the AM, dolloped onto your salad at lunch, dipped into with cucumber “chips” for an afternoon snack, or spooned on top of a burrito bowl (or maybe this fully loaded slimming taco recipe). Or heck, just eat it with a spoon. In a bowl, mash all ingredients together with a fork (or a mortar and pestle if you have one). Salt to taste. Serve with fresh vegetables, such as cucumber slices, jicama sticks, or carrot sticks.